Philip Millar has spent the last twenty-five years professionally mucking about with puppets. From straightforward traditional styles to state-of-the-art animatronics, Philip’s work encompasses film, television, theatre and arena spectaculars. Philip is currently Head of Sculptural Fabrication at the Creature Technology Company, creators of the world’s biggest puppet show, Walking With Dinosaurs – the Live Experience. When he’s not working on life-size dinosaur, dragon or giant gorilla puppets at work, Philip is working on puppets at home. 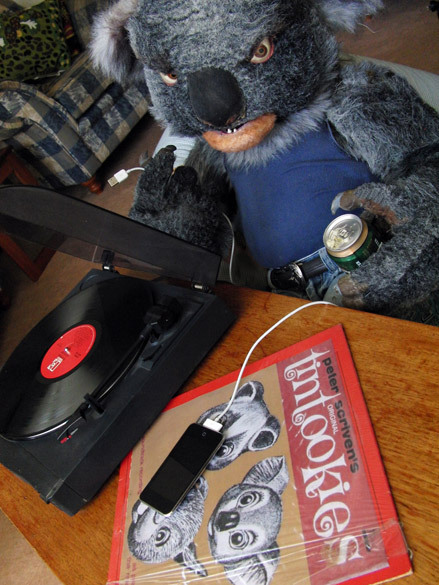 Ken Koala is Philip’s close associate and spiritual advisor and together they explore the rich history of Australian puppet marsupials.